Uri The Surgical Strike Movie Review: Bollywood's Best Military Action Film Till Date! Uri starts with a bang, with an anti-terror operation in the north-eastern India led by Major Vihaan Singh Shergill (Vicky Kaushal). The segment is impressive and impactful, and gives the film a spearheaded start. This pacy start, affords the movie to reduce its pace thereafter, to set a good solid foundation, as the movie gradually picks up pace leading to the climax. The film is very evenly paced, and the narration is linear and easy to follow, because of its non-rushed approach. Uri takes its own time after the initial action sequence, but keeps you engaged all the time with its story-telling, and doesn't let the boredom seep in. The major portion of the first half is set for developing the lead characters, and setting up the premise for the "Surgical Strike". The second half is the planning for the strike; and the film ends with a nicely shot, high-energy, heart-pumping, chest-thumping "Surgical Strike" climax. The movie is kept tight, and sticks to the track for most of the time. There are however, segments which I think were unnecessary and don't create the intended impact. Like for example, the scene where the eagle-drone is knocked down by the terrorist-associate kid, when he opens the window while the drone was spying on them. You can see that the film is trying to create a tense moment there, but doesn't completely succeed in doing so, and ends up looking silly. If you are a military-action movie buff, you will be reminded of several Hollywood military action films while watching Uri. Uri gets most of the things right, and tries to keep things close to real, but also takes a few cinematic liberties here and there throughout the film, that quite add to the entertainment value and also remind you that this is just a film made for entertainment, and not the actual accurate depiction of what may have happened. The film uses real news video snippets from ABP news, to make the movie's story more convincing and effective. Uri slides in the politics part of the strikes smoothly, but keeps it non-political, low-key and subtle, yet delivers the intended message successfully. The film features lookalikes of the political leaders like Narendra Modi, Manohar Parrikar, Rajnath Singh and Arun Jaitley. I think, Modi lookalike would have been enough, as all the other lookalikes together made it look like a spoof show. But in view of the compulsions and the intentions, that's understandable. Govind ji (Paresh Rawal) at the DRDO, seeing the demo of 'Udta Garud' (Eagle-drone), and watching the flying bird-drone in awe. The movie at the first instance says that the surgical strikes will be kept a secret from everyone till the day of the strike. But it doesn't attempt in doing so, as characters in the film openly talk to every other character, about the mission to avenge Uri terrorist attacks. Pakistan's agents being incompetent comical figures. You can see that the film is playing to the gallery and not trying to be overly intelligent. But the USP of the film is its action. The action sequences are neatly choreographed, and they look good on the screen. They look real, and are effective. It shows the amount of hard work that went behind creating them. The army gears, weapons, vehicles, explosions, sets, props and the lighting are taken care of, which makes the action look lovely on the screen. The equally good cinematography also lifts the action scenes, even though at some points the camera was quite shaky for my liking. But overall, amazing job. 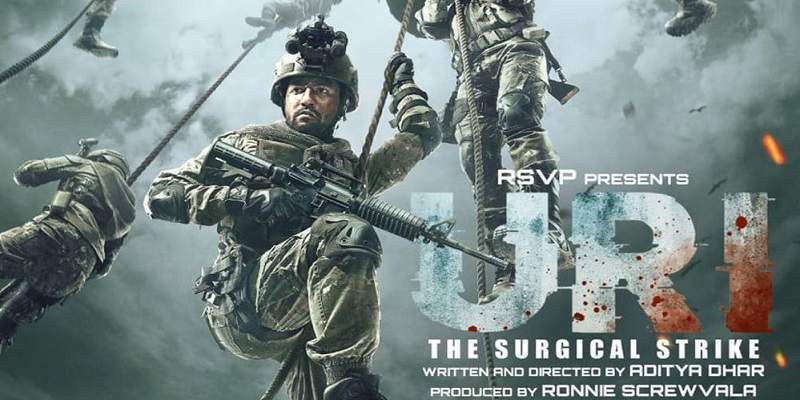 Uri The Surgical Strike is high on emotions, and at times goes overboard with it, but at the same time makes sure that it is neatly channelized to benefit the film. 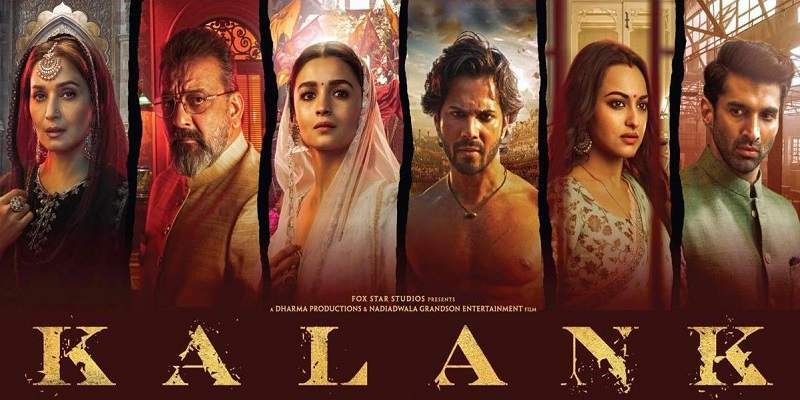 In fact, the emotional quotient of the film has been nicely blended with the core of the film, to make sure you are moved and impacted emotionally. The thumping dialogues play a very important part in this aspect, even though at times they are cheesy and simple-minded. The film successfully makes you to sympathize with our soldiers, by shedding light on the relationships and sentiments, and personal loses. The film carefully adds the revenge emotion to its foundation, to make the surgical strike much more wanting for the audience. Uri is a carefully created film, and is very much successful in its intentions and landing at exactly where it wanted. The film can be an example of 'subtle-yet-evident' for the Indian filmmakers wanting to create similar kind of cinema. The film greatly succeeds in impacting the young minds watching the film. The whole auditorium was 'high on Josh'! The actors have done a good job. Vicky Kaushal once again proves that he is a good versatile actor. From Masaan, Raman Raghav to Uri, the man has thoroughly showcased his acting prowess. Yami Gautam neatly does her part. Paresh ji is again at his usual best. Overall, Uri The Surgical Strike is a totally entertaining film with amazing action, and is worth a watch. DO NOT COPY REPUBLISH OR REPRODUCE THIS ARTICLE. The text in this article is protected under Indian Copyright Act, 1957 and Digital Millennium Copyright Act (DMCA).